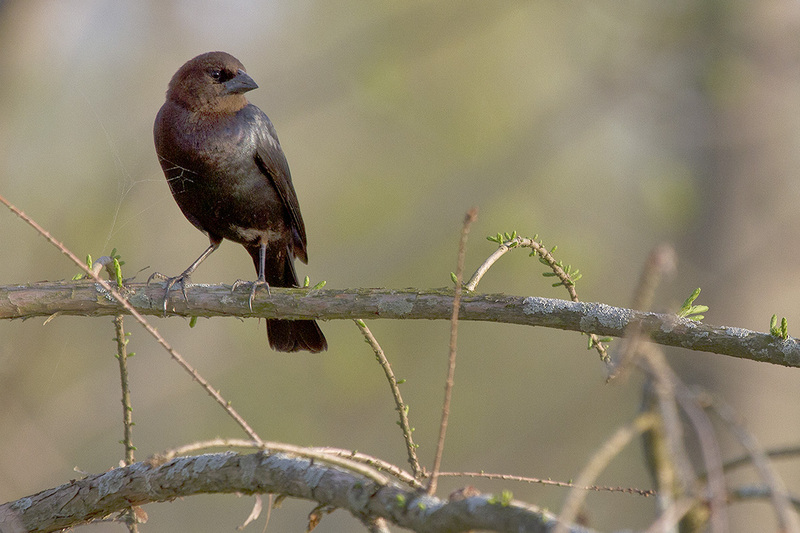 Brown-headed cowbirds lay their eggs in other species’ nests and let the foster parents raise their young. This practice often leads to declines in the host birds’ own offspring. 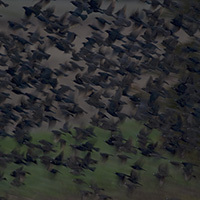 CHAMPAIGN COUNTY, Ill. – It’s 5:30 a.m. in the tree farms outside Urbana, but the birds have been up for an hour already. I sip my coffee, putting on rubber boots that will be little help against the dewy, waist-high grass. A couple of brown birds sit on telephone wires above me, and I have a feeling I am being watched. These are brown-headed cowbirds, which lay their eggs in other species’ nests and then let the nest’s owners raise the offspring. Scientists put fake eggs in the nests of American robins to see how the birds respond. 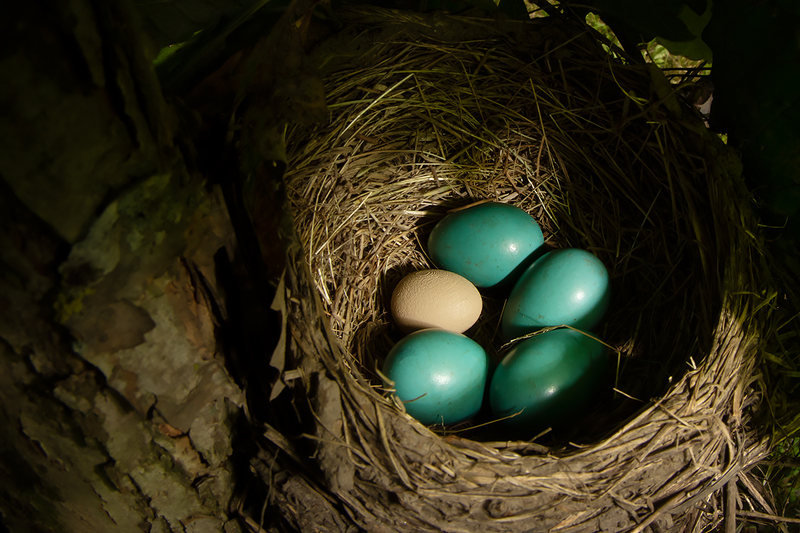 Some robins eject the eggs; others “incubate” them along with their own eggs. American robins are nearby, warily watching the cowbirds. Robins are one of a few species to have cracked the “cowbird problem.” Their solution is simple: When they recognize a cowbird egg, they throw it out of the nest. To do this, they must override their natural instinct to care for the egg, however. 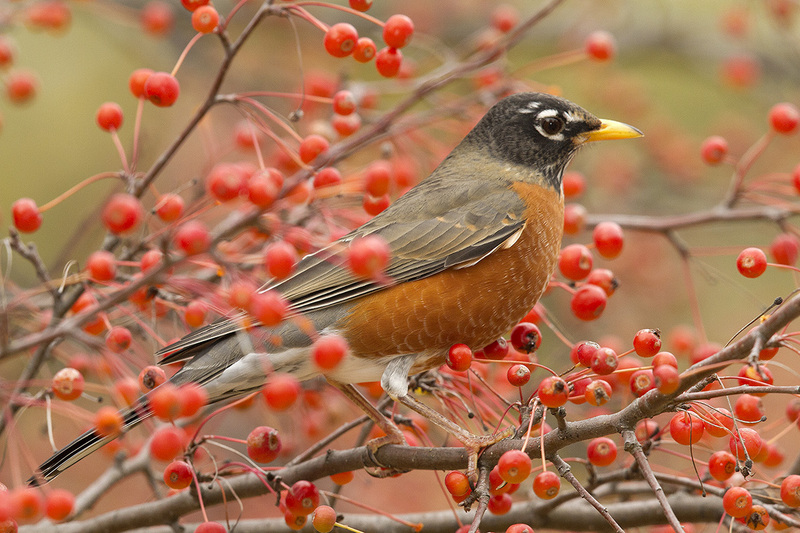 American robins are one of a few species that recognize cowbird eggs in their nests and eject them. I am here to study the robins’ decision-making. How do they know to throw a cowbird egg out of the nest, but keep their own eggs? To find out, I act the part of the cowbird: I spy on robins to find their nests and slip a foreign egg into each one. I don’t make it easy for them, however. I have tweaked the colors of my 3D-printed fake eggs to make their decisions much harder. Some robins decide to keep the fake eggs, while others toss them out. Some seem not to be able to make up their minds what to do with the fake eggs. An American robin nest, undisturbed by cowbirds. 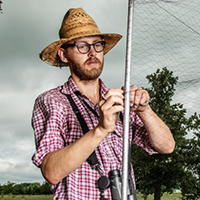 The author sets up a net to catch the robins as they return to their nests. 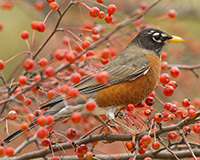 The scientists hope blood samples taken from the birds will provide chemical clues to help explain the robins’ behavior. The fine net catches the birds without injuring them. 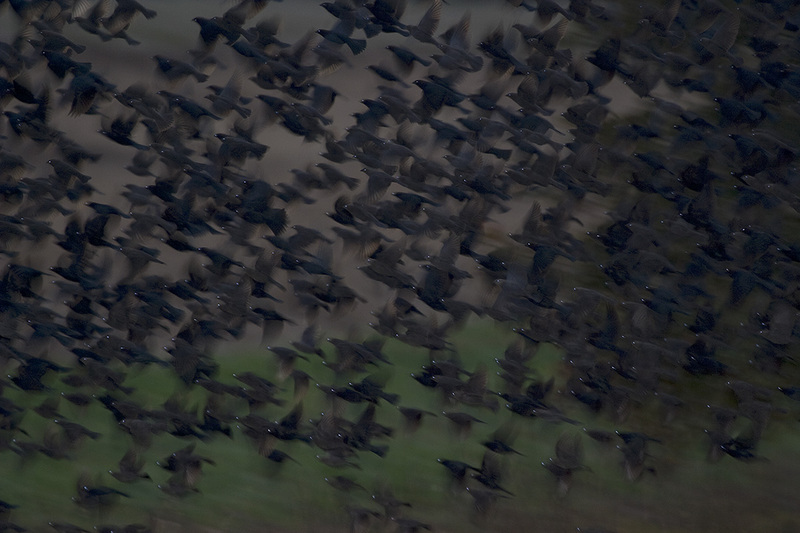 Abolins-Abols releases the birds after taking a tiny blood sample. I'm working in the lab of animal biology professor Mark Hauber, who loves these types of questions. Why do some robins accept fake eggs, while others toss them out? 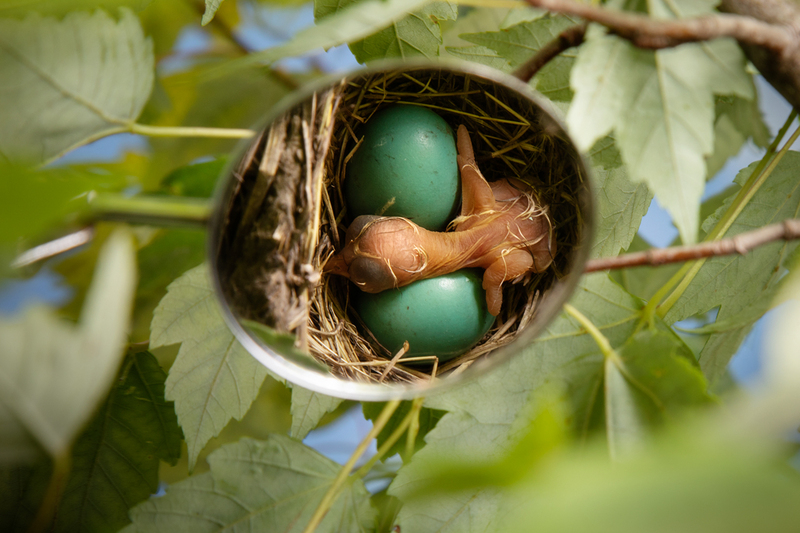 By challenging the robins with new types of eggs, we are essentially going back in time to when robins first encountered cowbirds. They likely walked the same line of indecision back then, too. But robins cannot explain to us why they do what they do. We must coax the answers from them indirectly, by studying their physiology. 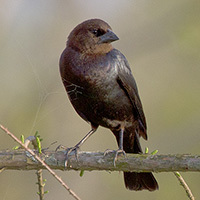 Brown-headed cowbirds can undermine populations of host species by affecting the growth and viability of the hosts’ own young. 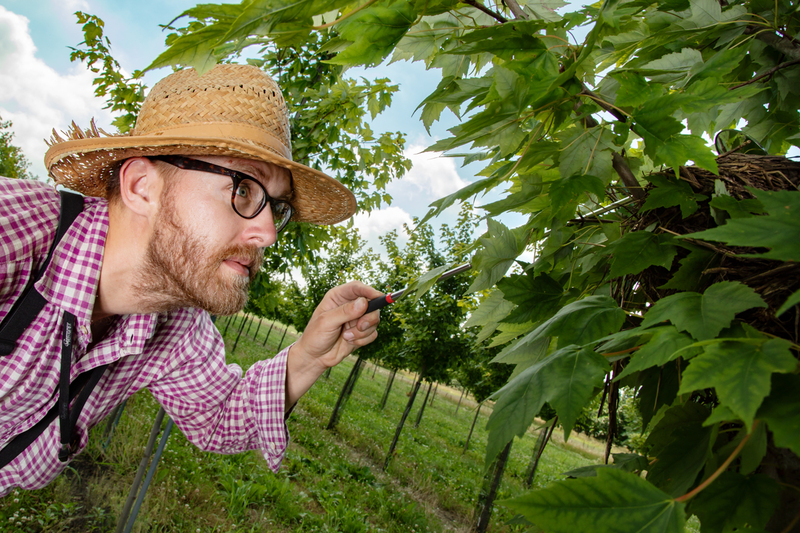 In the shadow of a tree, I open up a fine black nylon net designed to be invisible to robins. I catch a female on the way back to her nest, and take a small blood sample. The chemistry of this sample, and others like it, will offer clues to the birds’ experiences with my artificial eggs. When I let this robin go, she poops on me, flies to the nearest tree and scolds me loudly for what I’ve done. Then she spots a cowbird nearby and chases it away. I think she hates them more than she hates me. 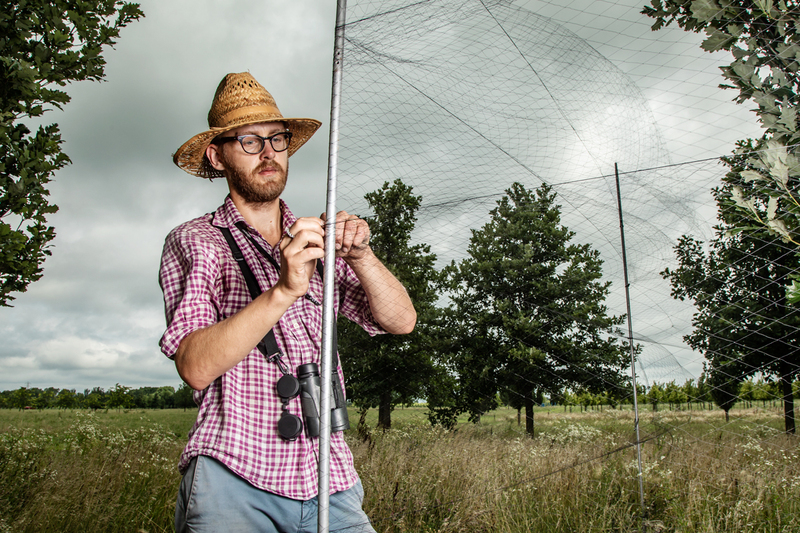 Michael Jeffords and Susan Post are wildlife photographers and research affiliates of the Illinois Natural History Survey at the Prairie Research Institute of the U. of I. Their photographs are available here. L. Brian Stauffer is a photographer with the U. of I. News Bureau.